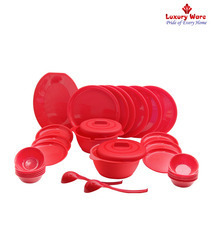 6pcs full plate, 6pcs qua plates ,6pcs veg bowl 6pcs pulse bowl,2 serving dongas, 2 laddle, 1 rice plate. 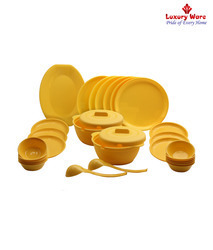 We are leading manufacturer of Plastic Dinner Set. 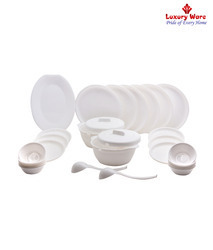 we provide a wide range of Plastic Dinner Set to our client. We are leading manufacturer of Plastic Chillers Set. we provide a wide range of Plastic Chillers Set to our client. 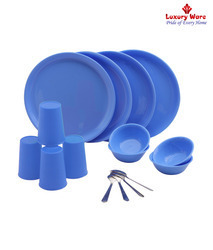 We are leading manufacturer Dinner Set. We providing a wide range of Dinner Set to our client.